Many winery doors in Europe are thick, wooden barriers to domains through which centuries of winemakers have passed. On the edge of Barolo’s central district, on Via Vittorio Veneto just below sprawling Nebbiolo vineyards, there is one such door. A black plaque with four large white letters affixed on the right of the door prominently displaying the name of the legendary wine family “PIRA” alerts visitors they’ve arrived. Press the button on the brass plaque to ring the bell that could easily wake the dead of centuries past. You’ll hear hurried steps – albeit maybe not immediately – lock turning, a bolt scraping open and finally the centuries-old door creaks open. 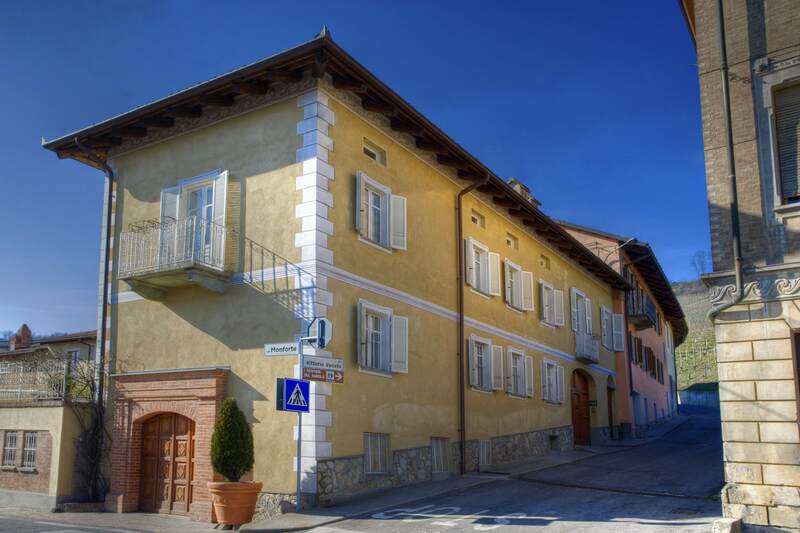 For centuries, the E. Pira e Figli winery has occupied the corner of via Monforte and via Vittorio Veneto in Barolo. If your timing is right – the probability of which is improved dramatically if you’ve cleverly booked an appointment – Chiara Boschis’ bright, welcoming smile will be the first thing you see on the other side of the door to E. Pira e Figli. On a cold March day shrouded in a light mist more akin to November than Easter, I met Chiara Boschis, E. Pira’s proprietor and winemaker. The door burst open and before me was a petite, smiling woman in leggings and a flowing skirt, bundled up in a puffy coat she clutched around her neck. I stood before her in jeans and a light, powder blue sweater and tee shirt, freezing. For some reason – as I stood there, slightly shivering – admitting it seemed out of the question. I live in the Rockies after all. We’re tough and rarely admit we’re cold. Chiara greeted me as she would a long lost friend. Here before me was a much-loved woman who had successfully staked out her territory in Barolo’s male-dominated world and who was the subject of many laudatory articles in wine journals and blogs. But immediately I could see, despite her fame, she was no wine diva. 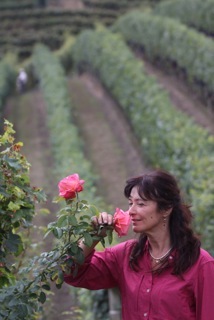 Chiara enjoying the sweet summer fragrance of roses in the vineyards. There was no period of uncomfortable formalities, only a warm two-handed handshake, a deep sincere look into my eyes and concern over my lightweight attire. 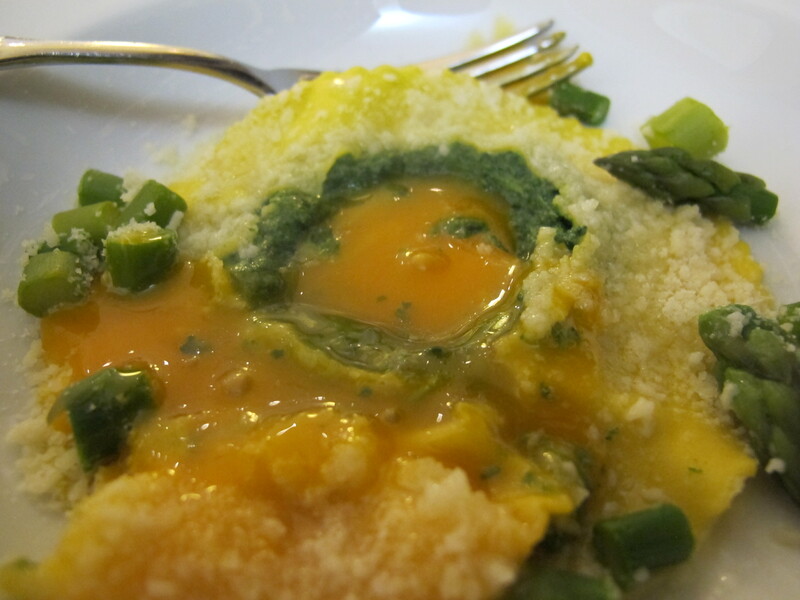 Here was a woman in love with her craft and grateful for my interest in the women of Piemonte. I was humbled. The conversation flowed effortlessly as we descended steep, concrete stairs, through another heavy wooden door into the maze of subterranean rooms of the centuries old winery. I was thrilled when we entered the warm barrel room where a humidifier bellowing steam transformed the space into a mild sauna. Low level lights shining up through the fog at the vaulted ceiling created an ethereal affect, giving the musty space a timeless feeling. I could see through the fog a small forest of large wooden barrels and smaller barriques where nature, guided by Chiara, was finishing its work aging and imparting aromas into her precious wines. The “cantina vecchia” (old cellar) that has housed barrels of aging wine for centuries. On later visits, I thought the cantina seemed the sort of place the ghost of sainted Giulia Colbert Falletti, Marchesa di Barolo – the 19th century mother of modern Barolo – would be comfortable. I believe she would have enjoyed Chiara, the woman who burst through gender barriers to become Barolo’s first woman winery proprietor and winemaker. Chiara draws inspiration from the Marchesa. Perhaps Giulia’s spirit guides Chiara and all the women who are her oenological legatees. I like to think so. But I digress. 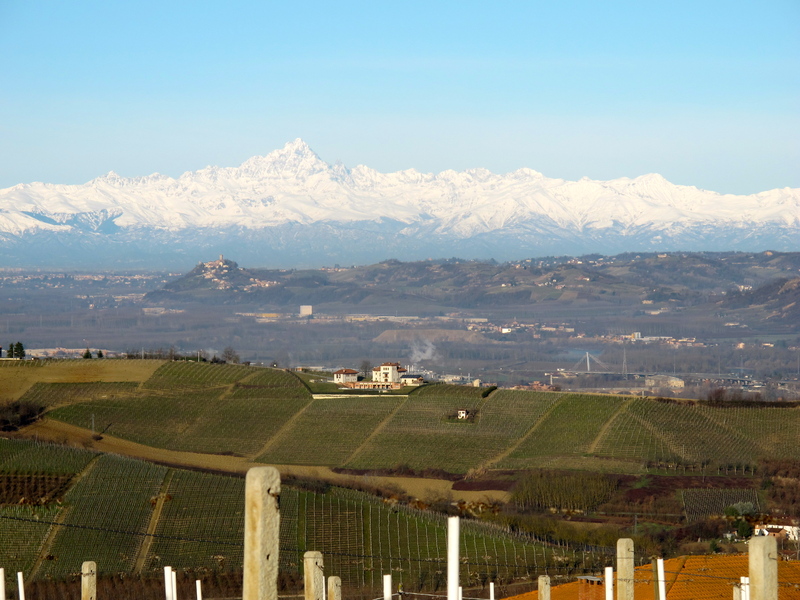 Once a rarity, women winemakers are taking their place in the Piemonte wine industry, particularly in the Langhe and Roero regions. Famous last names previously associated with men are now brands belonging to women winemakers and proprietors such as Chiara. In 1980, following the death of Luigi Pira, Chiara emerged as the first of her gender in her family’s nine generations in Barolo to tend the vines and vinify the noble Nebbiolo grape. 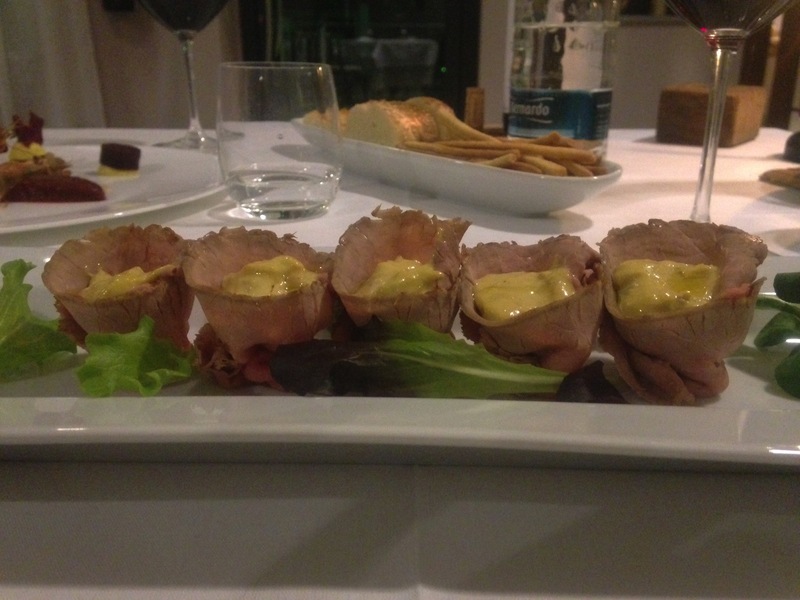 Luigi was the last male heir of the renowned centuries-old E. Pira e Figli winery in Barolo. At Chiara’s behest, her father, Franco for whom she had worked at Giacomo Borgogno e Figli, bought the winery from Pira’s two sisters. The vineyards, including parcels in the prized Cannubi, and the winery would become the launching pad of Chiara’s meteoric career. Chiara possess an innate talent for growing high quality grapes and making luscious wines from her vines’ bounty. A combination of swimming in the right gene pool and on-the-job experiences spanning a lifetime prepared her to successfully assume control of the operation in 1990. On that first visit, Chiara poetically described her winemaking philosophy with words like “joy,” “passion” and “love” garnishing her language. The biggest change in her generation was not only women entering winemaking, but also giving more attention to the vineyards. “You cannot abandon the fruit in the vineyard during the growing season,” she warns. The work in the vineyards is 80% of the process. The other 20% is in the cellar. 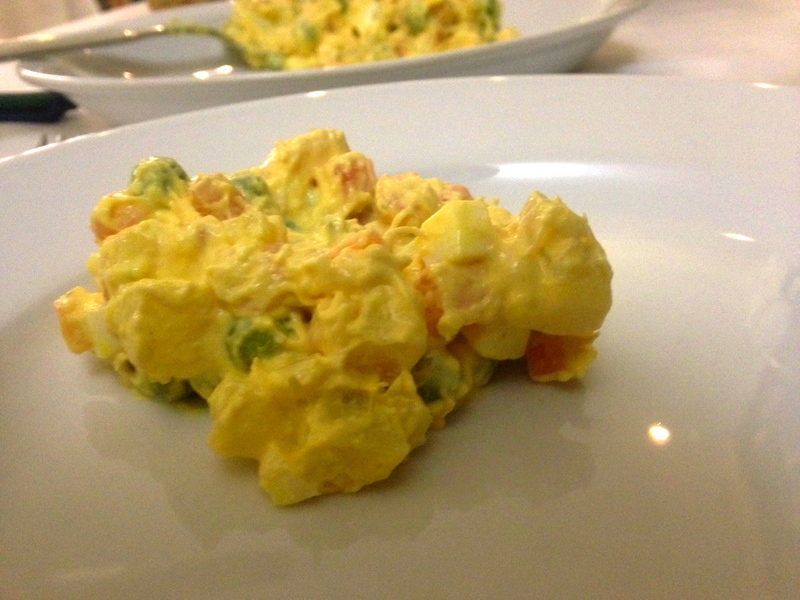 It’s logical that without the best fruit possible, nothing in the cellar will change mediocre grapes into stellar wines. No job is too menial for Chiara and she takes great delight in the handwork of winemaking. 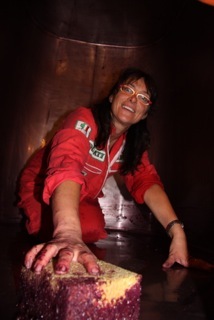 Here she is cleaning a wine vat. 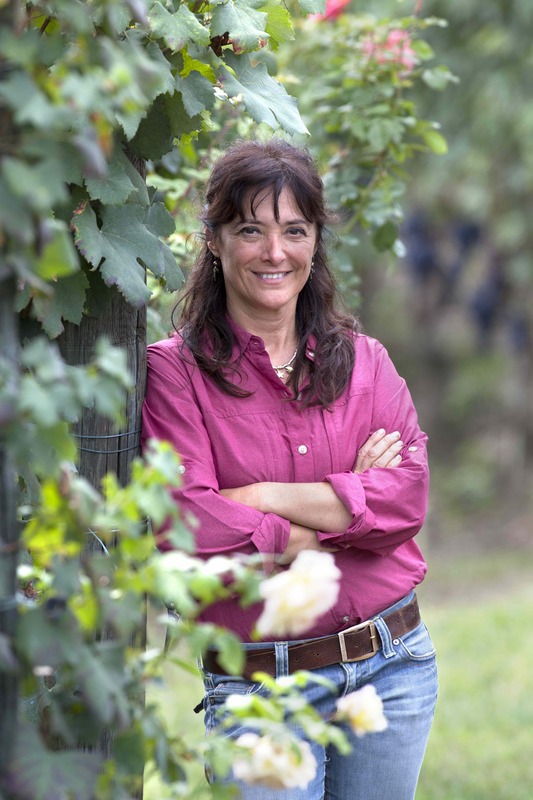 Chiara was one of the first to conduct a green harvest – crop thinning – in Barolo. If done correctly, as she does, the process of cutting shoots and bunches during the growing season produces quality over yield. Chiara strongly believes quality cannot be achieved when the vine is preoccupied and stressed with too much growth. It’s a delicate process, however, that is sometimes done three or four times as she monitors the vines’ development and the weather between June and harvest. Her first green harvest, however, brought calls to her father from locals saying, “Chiara is crazy! She is cutting the vines!” She admits her father was also skeptical, but the proof of her logic rests in the high quality of her elegant wines. The splendid 1990 vintage was Chiara’s first on her own. She downplays somewhat the significance of the Tre Biccheri the Gambero Rosso awarded her her maiden vintage declaring, “It was a fabulous vintage.” True, it was, but she need not be humble about her achievement with that vintage. Four years later, with the release of the 1994 vintage, Chiara proved she was no flash in the pan. In Europe, rain and mud were the hallmarks of the second half of 1994. Long before vines surrendered their grapes, the vintage was branded as poor. Although it gave only two out of five stars to the 1994 Piemontese vintage, Britain’s Decanter magazine noted, “Prolonged rain caused serious problems, although a few producers still made good wines.” One of those wines was Chiara’s cru from the legendary Cannubi vineyard. 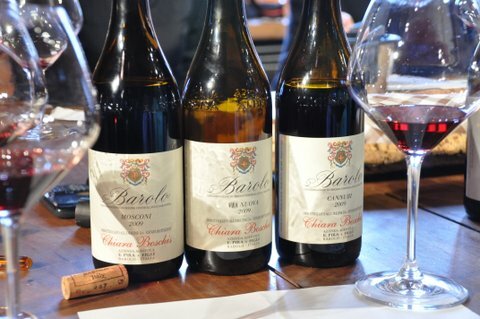 As the winner of the sole Tre Bicchieri awarded for Barolo that year, her 1994 Barolo Cannubi proved she could make great wines even when Mother Nature was cranky. “Consistency is most important to success,” Chiara asserts. Weather can be changeable, but winemakers must always be at the top of their game to achieve consistently high quality wines. Since 1994, Chiara garnered numerous accolades for her Baroli that exhibit power, but with a Burgundian-like elegance, finesse and soft tannins, the signature of her wines. In its 2013 Duemilavini wine guide, the Italian Sommelier Association awarded its highest honor, “Cinque Grapoli” (five bunches), to Chiara’s 2008 and 2010 Barolo Cannubi. So I’d say that now, as she brings in her 24th vintage as the head of Pira, Chiara Boschis has proven herself worthy of her winemaking heritage. Chiara enjoys taking her wines on the road. 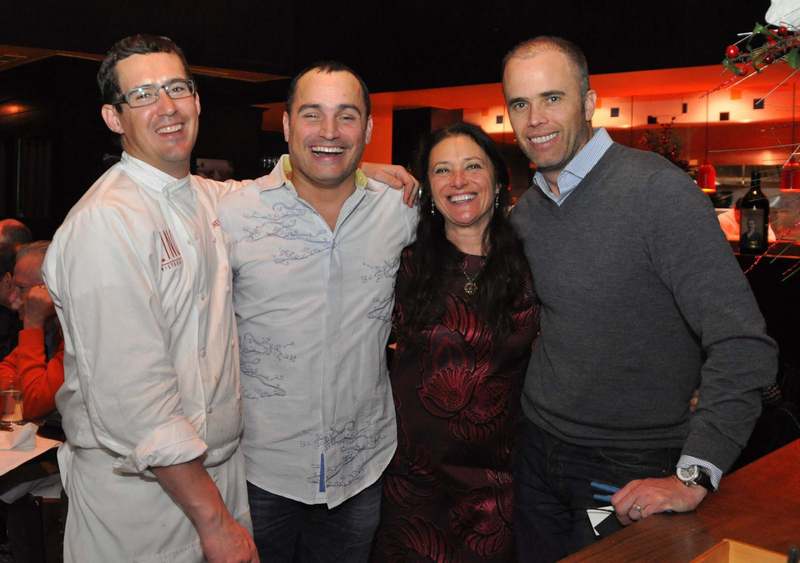 Here she is at Zino Ristorante near Vail, CO with Executive Chef Nick, Giuseppe Bosco and her loyal, trusted importer, Steve Lewis of Giuliana Imports. Chiara’s wines continue to garner praise across the globe. Her personality, devotion and talent emerge from each bottle of wine opened in lands far from the humble Piemonte village of its origins. No doubt, most days someone meets Chiara for the first time by merely sipping her vinous creations. 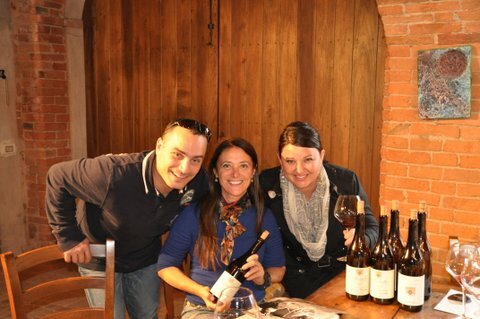 Chiara Boschis with Giuseppe and Alisha Bosco of Vail Valley’s Ristorante Zino enjoying Chiara’s wines in her tasting room. 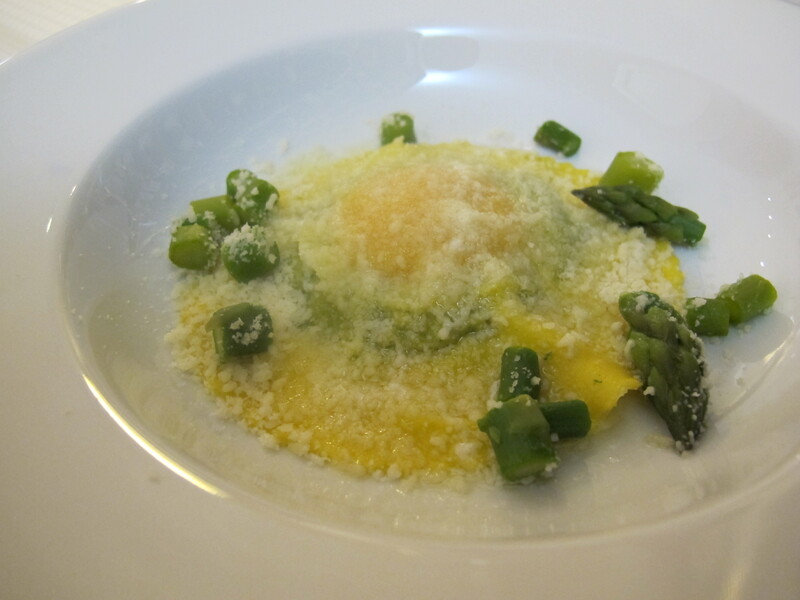 Chiara bridges the past and future through her devotion to preserving Piemonte’s cultural heritage, insuring future generations remain connected to region’s land and the culture surrounding all it produces. Chiara’s feet are rooted in the soil of Barolo. She is most at peace among her vines. Chiara is married to the land and protects it as she would her own offspring. As a certified organic wine producer who never exposes her vines to pesticides, she guards the environment and the health of her clients and neighbors. Her ardent belief – a view many of her peers share – is vineyards can survive without chemicals. A healthy future and continuation of centuries of Piemontese viticulture depend on farmers such as Chiara to protect the terroir. With brother Giorgio who left Borgogno and joined her at Pira in 2010, she’s well into her third decade of creating beautiful, award-winning wines. 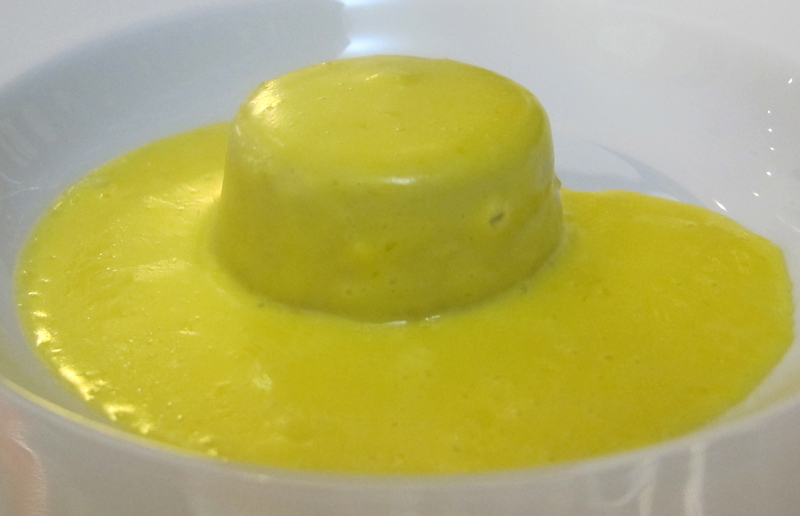 Brother Cesare also left Borogono and now works with his sister and eight others in the “ethical” project to preserve the culture and production of Castelmagno in Rifugio Valliera. 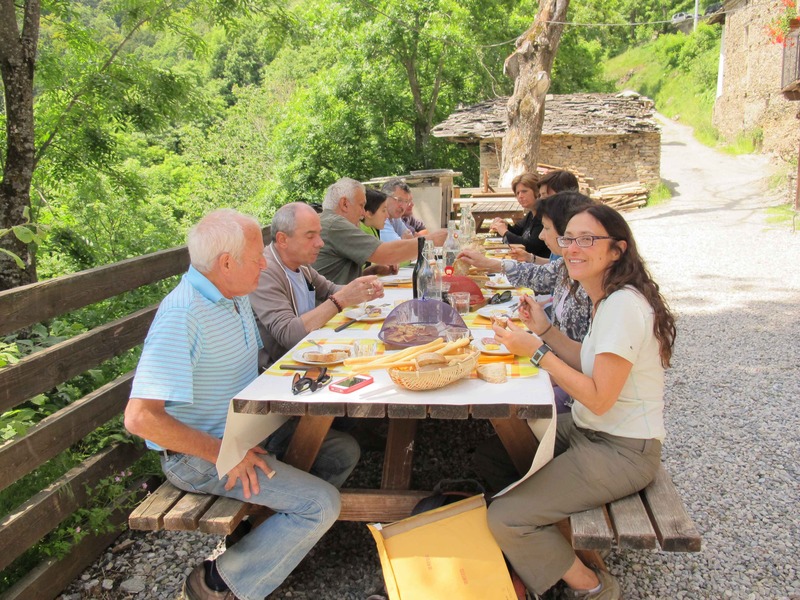 Together, the close-knit siblings are working to insure the region’s traditions remain a part of its fabric, leaving generations to come a bright future in Piemonte.